4000 Rivets : Introducing Gracie! We will do an introduction to us (Mike & Kris) next, but, as this new life style was evolving in our minds, this beautiful Airstream trailer quickly became the catalyst for our wandering imaginations...so she deserves an introduction. Gracie, is the name we chose, a bit of a tribute to my very first car of the same name. Back in the day, in the 80's, I had a Silver/Grey Maverick...and while she was, at times, kind of beastly, she was a great car and she followed us on all of our early adventures together. We keep joking that the biggest thing we have to adjust to is going from a sticks and bricks house with square footage to spare to 188 square feet of living space! That will be made a little bit easier because that small square footage is so comfortable and beautiful! Realistically, we will have plenty of other adjustments to make, for example, the daily decision making that a life of full-time travel requires! We will know where our comfy bed is, we just don't know where it will be parked each night! We are getting incredibly excited to start moving in (two weeks) and to get on the road (two months)! The downsizing has been exhausting at times and liberating at others, but we are making progress every day! Stay tuned, follow along, for more - on us, on Gracie, our initial travel plans and lots of photography! 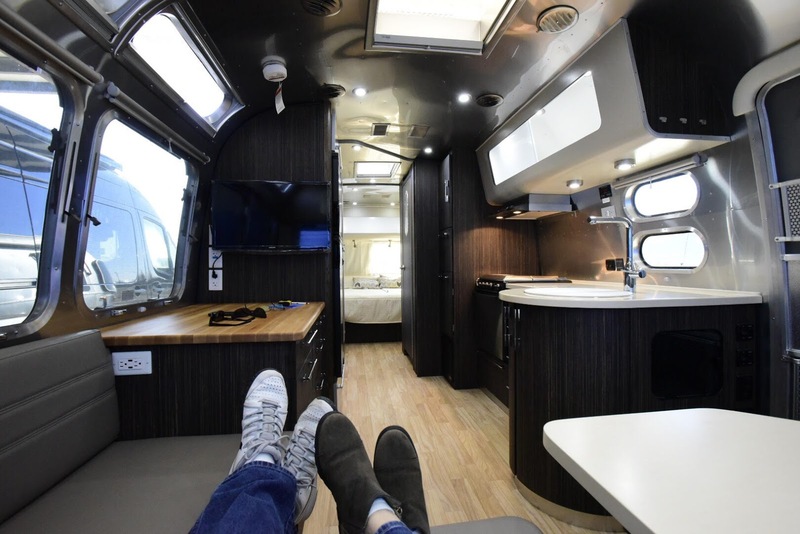 Gracie is a 2017 27 foot front bedroom (FB) International Signature Airstream. She measures 28 feet hitch to bumper. 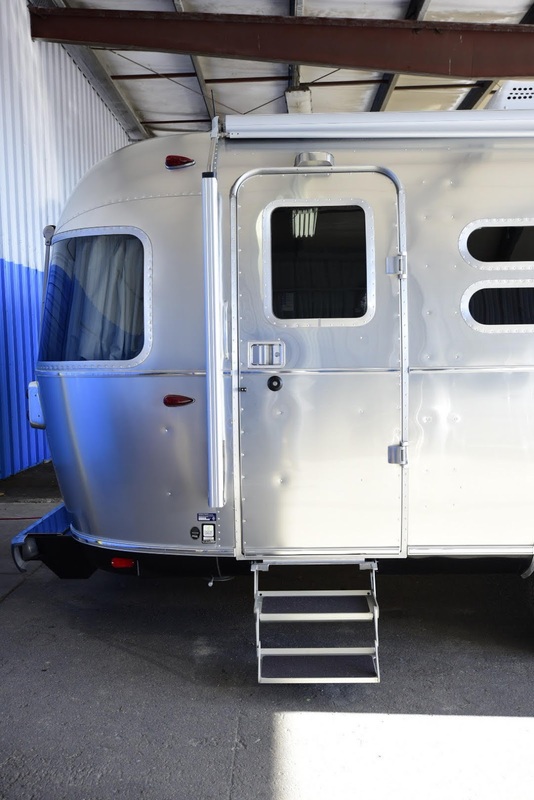 This is the conversion we had done by the amazing craftspeople at Ultimate Airstreams in Wilsonville, Oregon. in exchange for the loss of extra seating along the sofa. Looking towards the rear of the trailer; past the refrigerator (on the right) and the stove (opposite), the round, deep sink and at the split dining table & lounge area, which converts to a comfy guest bed! I love the configuration of your trailer! What year is it? 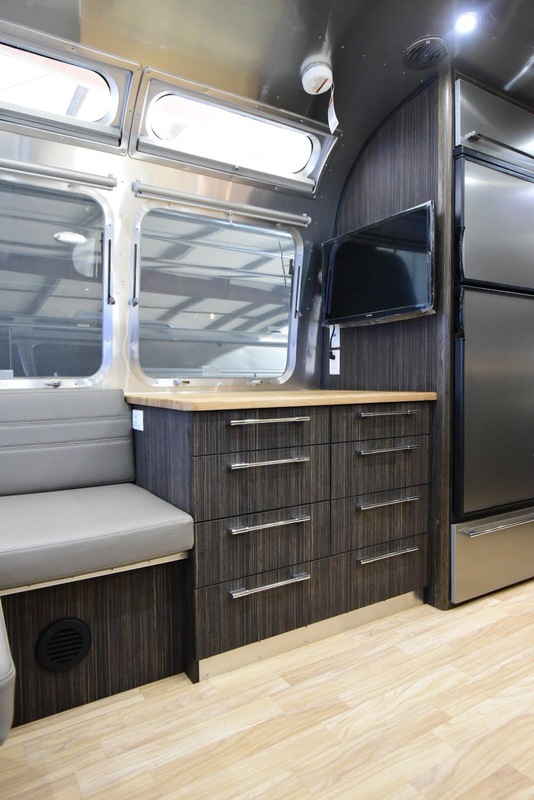 It doesn't seem that Airstream is offering that floor plan anymore for the International Signature. Hi Lisa! 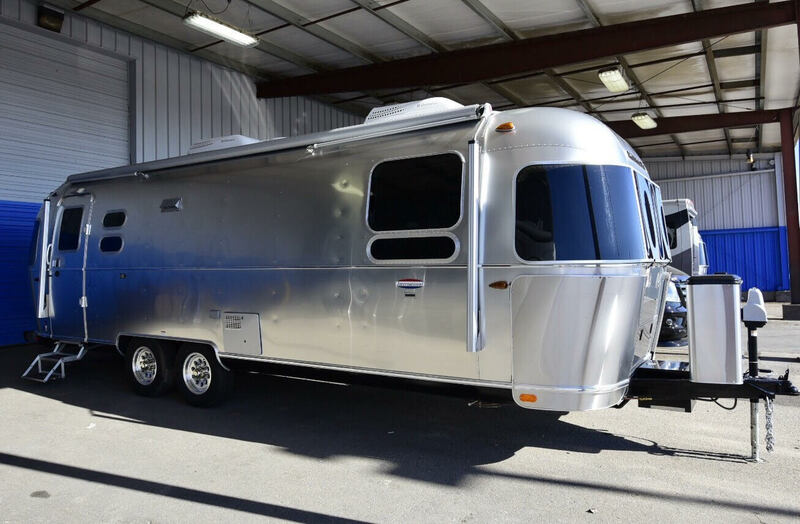 You're partially correct...it's a new Airstream, 2017, but...we modified the layout! 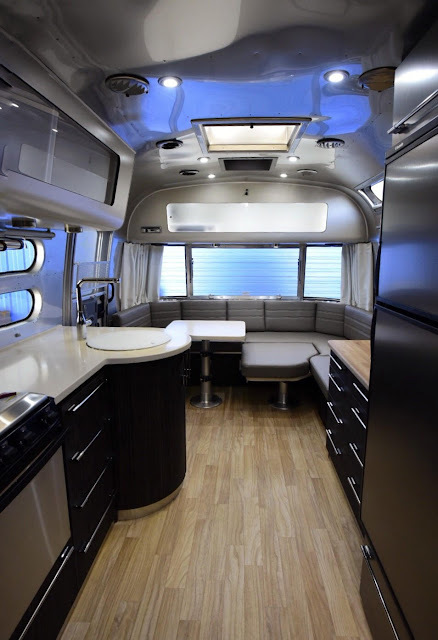 (Ultimate Airstreams) We preferred cabinet and counter space to the extended couch and also changed up the dinette to work better for us. Fantastic! It's such a smart layout, especially for full time living. It looks like they did amazing job! They did! And they were great to work with!